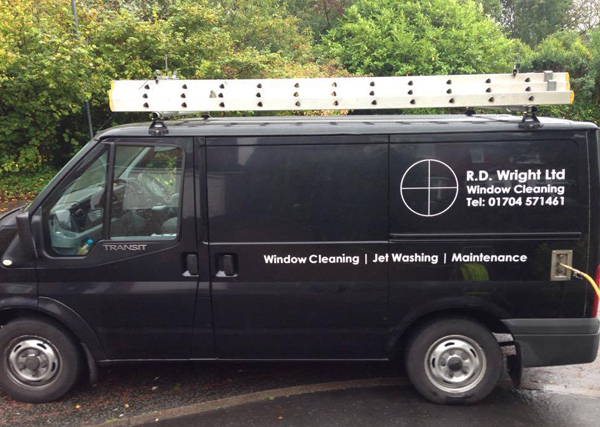 R.D Wright Window Cleaning is Southport’s most reliable, professional cleaning company who have been providing cleaning services across the North West for 10 years! 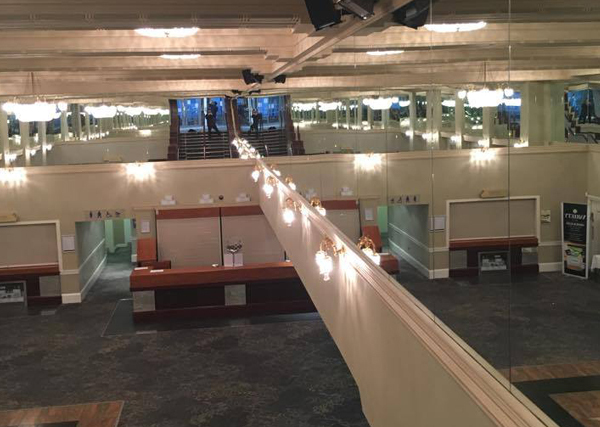 At R.D Wright, our mission is to lead our sector in providing all of our customers with an outstanding cleaning service that keeps ourselves one step ahead of our competition. 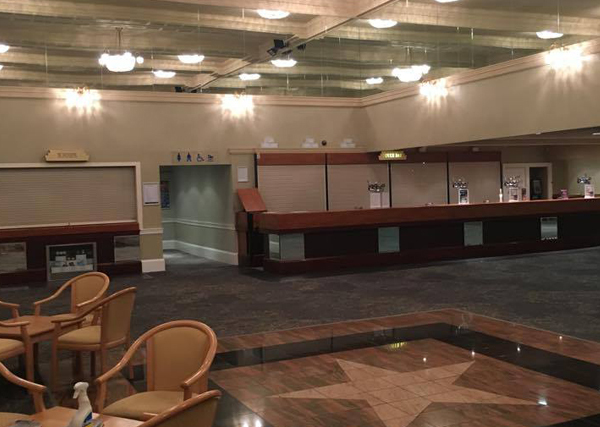 All of our staff are uniformed, polite, courteous and always happy to help. We aim to build long lasting relationships with our customers, and offer a 5* customer service team to help resolve any issues that may arise. Whether it’s to improve overall results or safety, we are always on the lookout for the latest equipment that gives the best finish possible. 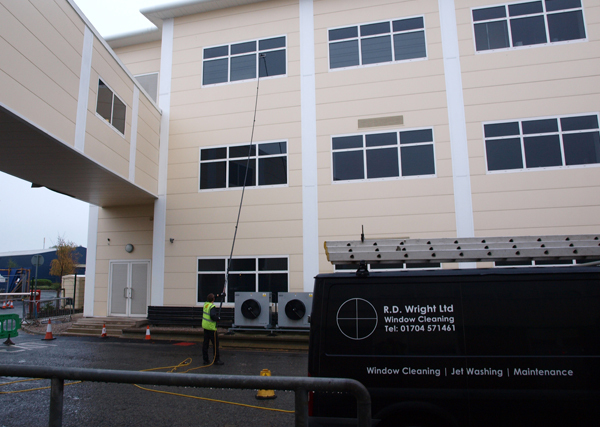 At R.D Wright our staff use the reach & wash system, otherwise known as the ‘water fed pole’. 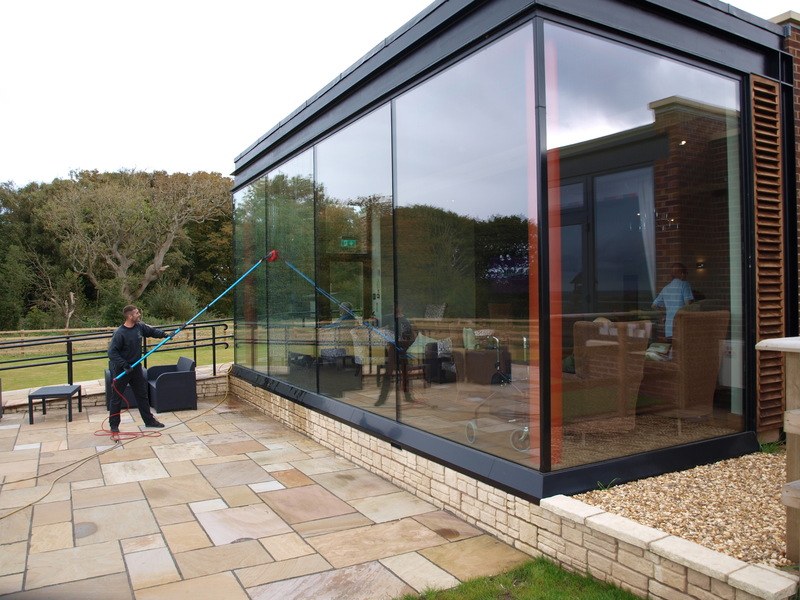 A technique which compared to traditional window cleaning, reaches your windows and frames safely from the ground, even in hard to reach areas such as above conservatories or dormer windows. This prevents any damage to your property from equipment and prevents accidents. We like to keep things simple so our visits to you run as smoothly as possible. Understanding that all of our customers aren’t always at home when we call, we have a call ahead / messaging service to let you know that we are due that day so gates / garage doors may be left unlocked should you wish we didn’t have to climb over. We also provide a secure, key holding service if you’d prefer us to be able to lock up after we’ve finished. 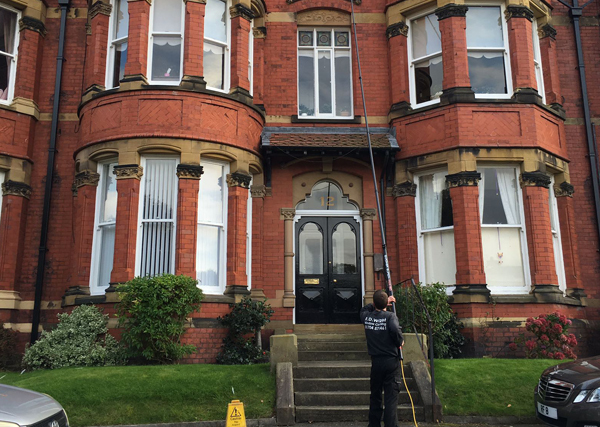 Our window cleaning round varies from domestic houses to commercial buildings, shops, schools, factories, blocks of flats and much more. 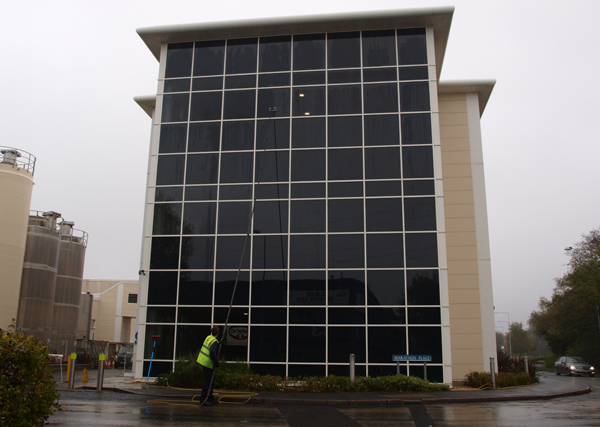 Please refer to the ‘services’ page of our website for further information on other aspects of our cleaning. See below a list of our services. Our staff use the reach & washes system otherwise known as the ‘water fed pole’. 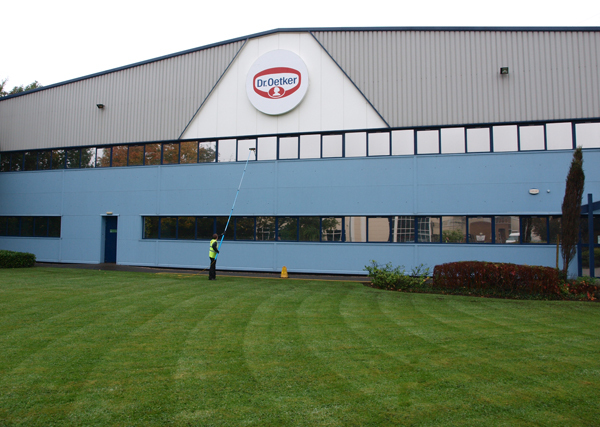 A technique which compared to traditional window cleaning, enabling us to reach your windows and frames safely from the ground. 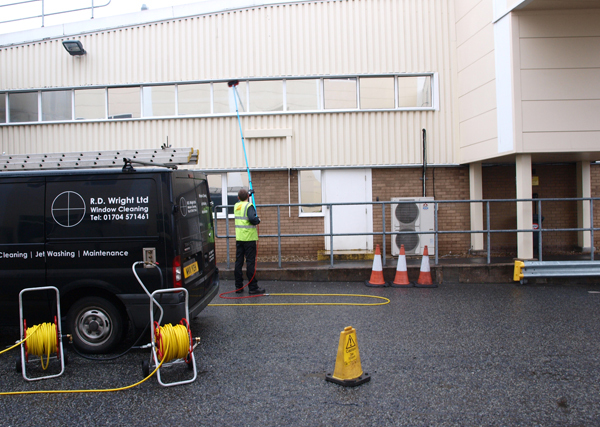 We clean internal windows and mirrors using the dragon fly system. This method also using purified water can reach them hard to access windows again safely from the ground. Has your conservatory roof started to turn green, full of bird muck or dirt? Our water pole method 99% of the time gets rid of all the dirt and grime build up that’s left on your roof. Using our access equipment we can clean your solar panels. Anything that blocks the light transmission to your solar PV (or thermal) panels has the potential to lower the performance. 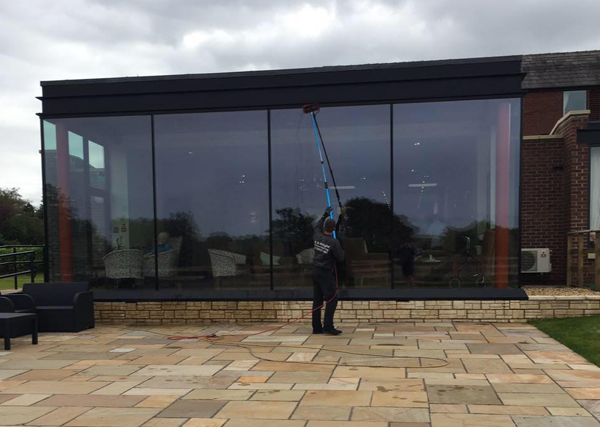 Using our telescopic pressure washing lance, we can clean all of your UPVC fascia’s, gutters and drain pipes safely from the ground. The end result your fascia’s and gutters looking like brand new again. From small patio areas to large driveways we clean it all. 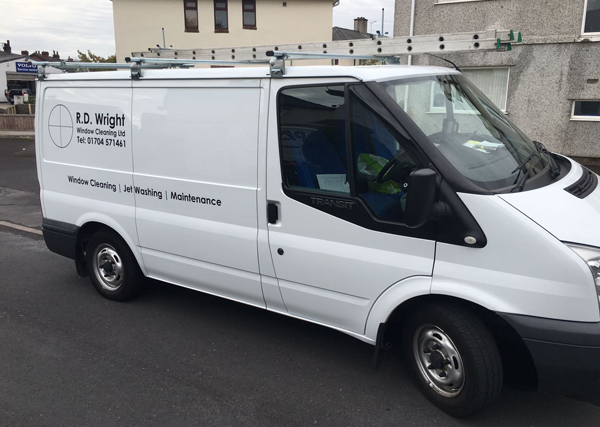 R.D Wright specialise in all driveway and patio cleaning from Indian stone, tarmac, concrete flags to block paving. Your property's gutters and downpipes accumulate all sorts of debris brought by the wind. 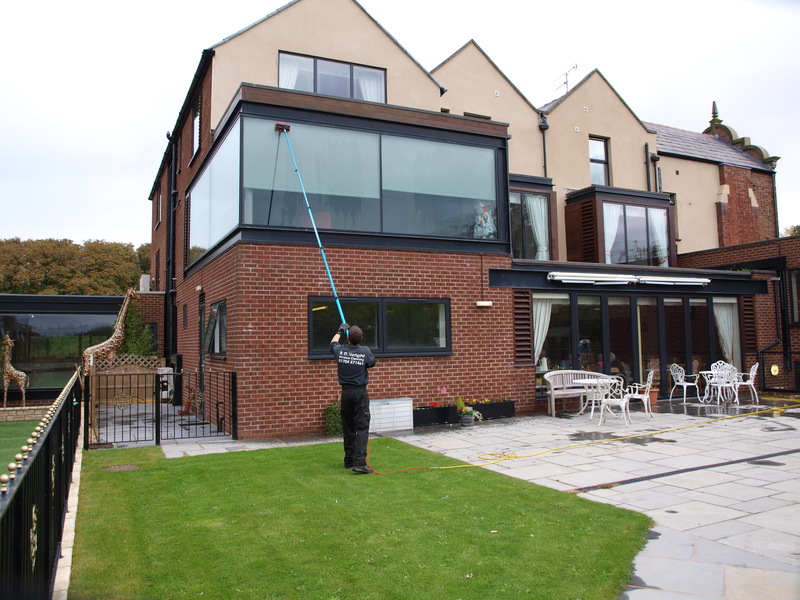 Using our high reach vac we can clean the gutters safely from the ground eliminating any falls from height. 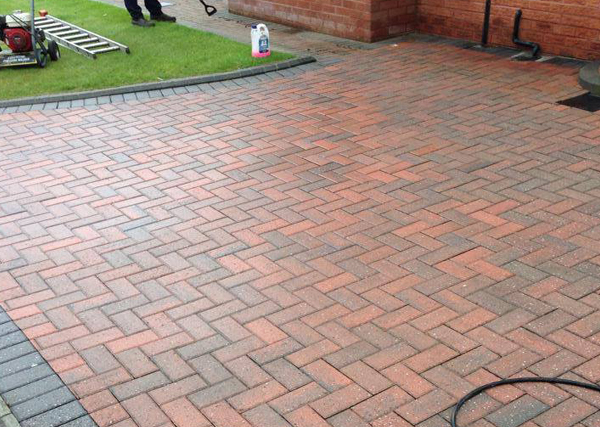 We offer a wide range of pressure washing services from garden furniture to house roofs at competitive prices. 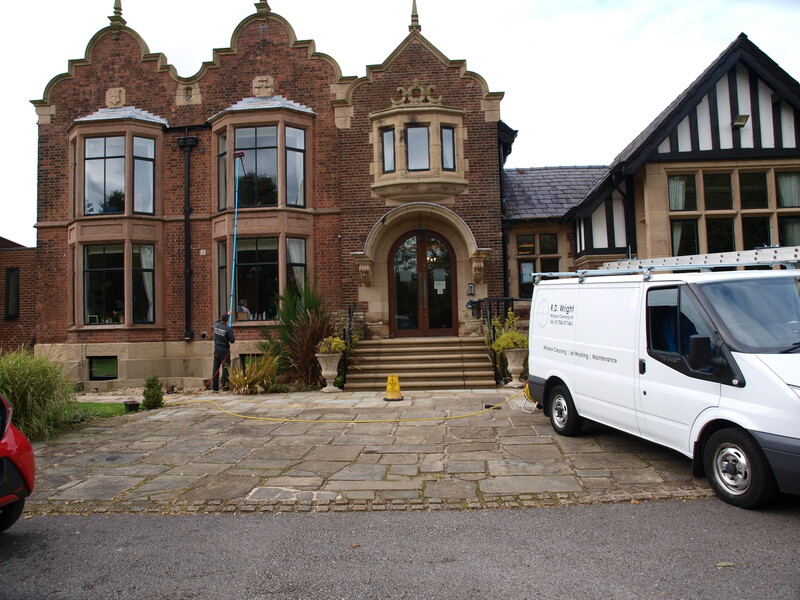 Cleaning and restoration of all hard surfaces in both the domestic and commercial market. Send a cheque to our address. Would you rather send us an email? Fill in the form below to send us an email. We will respond to you as soon as we can. 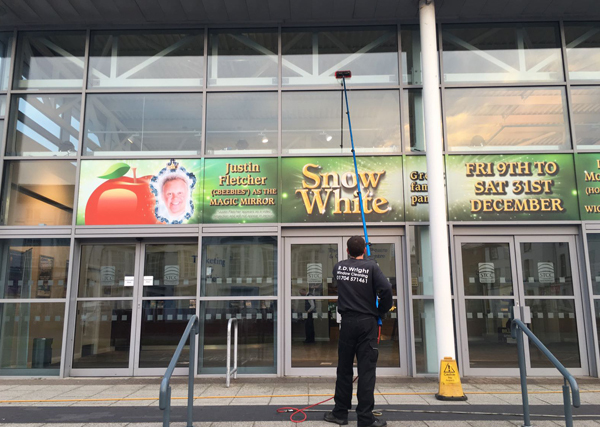 2017 © RD Wright Window Cleaning Ltd. All rights reserved. 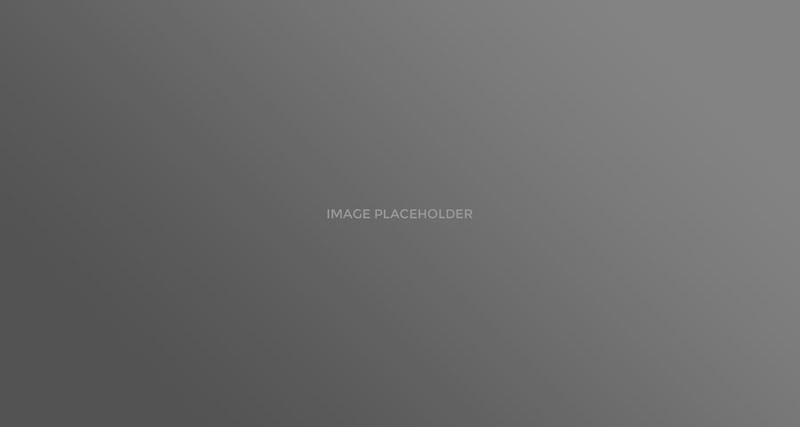 Website Designed by MCS Group.